Last week I got back from the US after attending OpenCon in Washington DC from 12-14 Nov. Arriving the day after the US election results came out, the mood in the capital was very somber as people were trying to grapple with what just happened. Even walking down the streets, I caught fragments of many conversations discussing the recent events. I also arrived on Veteran’s Day, and as I had some time to do a bit of sight seeing, I decided to walk along the Mall, and also to the end where most of the war memorials are located. St Anne’s Leavers’ Dinner: Which direction will you choose? I arrived at a very misty, drizzly St Anne’s and was quickly transported back in time to the atmosphere the thick, refreshing mist used to create around the school, no matter the time of day. I hadn’t quite realised it was also the last day of school for the Matrics, but soon saw the evidence of the celebrations lying at the entrance to the foyer and paraphernalia dotted around elsewhere! Finishing school is a big deal, but then what? Last week I attended the launch for the “Post-School Access Map” at the Wits Business School, Johannesburg. The web-based resource that was launched gives information on opportunities and choices for after school, and has been developed by BRIDGE with funding and support from the Zenex Foundation. I was inspired by how well the launch event was attended, with people from all levels within the education sector and many organisations and schools represented. It was a very focused event, which was great, as one can easily get lost and overwhelmed discussing the myriad of challenges in education, resulting in the discussion being diluted. But, the majority of the discussion was acutely focused on how to enable learners, and their support structures, to identify and pursue opportunities after school. Today I had the opportunity to go on a excursion to Vusisizwe Secondary School in Worcester, a town about 120 km from Cape Town. The school is one sponsored by Vodacom and as such, they have access to our adaptive, online tool for learning Maths and Science. At Siyavula, we have an in-house team responsible for the “Vodacom project” in terms of managing, training and supporting the schools and teachers who have been sponsored access to Intelligent Practice. 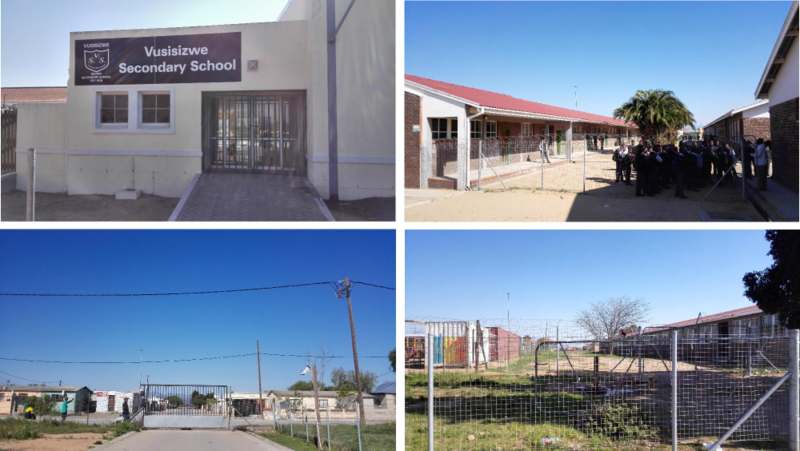 Vusisizwe Secondary School in Worcester. Having gone through 2 major projects now to produce open educational resources (OER) from scratch, I know what it takes! We produce, source and aggregate all the different pieces together, whether it is text, illustrations, photographs, videos, simulations, concept maps, or all of the above. The result is a complete package, under an open license, for a specific purpose or context. As part of the Learning Creative Learning course that I am doing, run by the Lifelong Kindergarten group at MIT Media Lab, we were introduced to Scratch. We were encouraged to create our own project to introduce ourselves. Scratch was developed by the Lifelong Kindergarten group (love that name! ), as it is their mission to develop new technologies, looking back to kids for inspiration, thus expanding the range of what people can design, create and learn. And Scratch certainly achieves this! Who would have thought that the boxes of wooden parquet flooring blocks that my parents brought home one day would be the instigator for hours upon hours of fun and play!